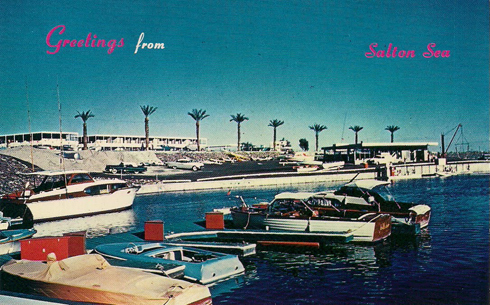 The Salton Sea located in Southern California is truly an underrated treasure that seems to be regaining a marginal amount of popularity. On a return trip to Indio earlier this month I had a chance to see the newly refurbished North Shore Yacht Club, which now houses a small museum and community centre. 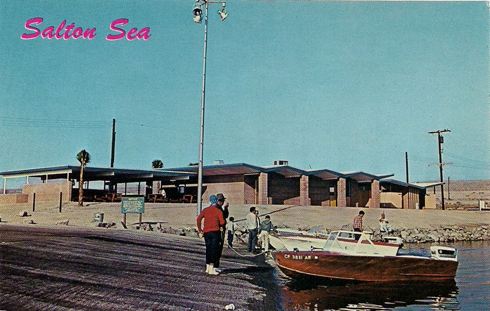 Just last year, when my friend Dave and I visited the Salton Sea for the first time, we had a chance to see the Yacht Club completely abandoned before work had begun. 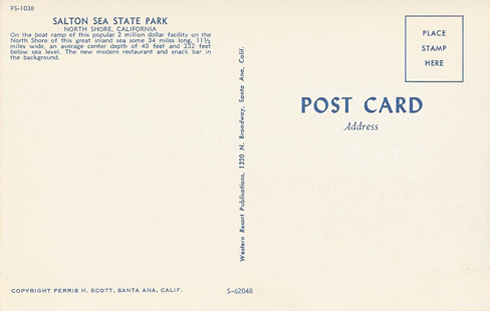 It's amazing the transformation of the facility back to it's original 1960's splendor. 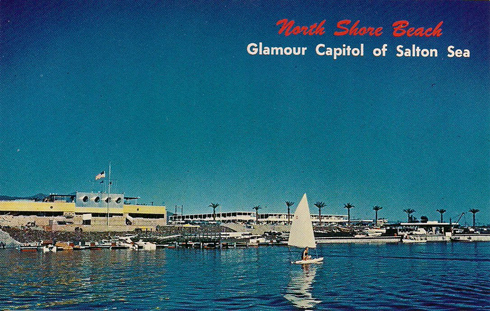 To my surprise these vintage postcards (actually from the original North Shore Yacht Club in the 1960's) were for sale inside the gift shop. Someone had preserved them in a box once the club was closed, and now here they were again for sale inside that very building. 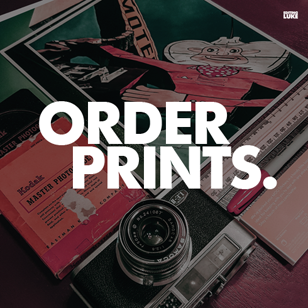 They cost $3 each, but it seems a small price to pay for a little piece of actual history. 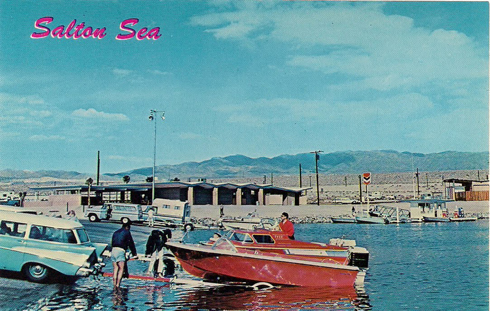 To put the images on the postcards in context, the marina is no longer there (with the exception of a few wooden pillars still sticking out of the water) and the motel seen in the background had been abandoned for years and was demolished in 2008. There has been a lot of clean-up in the area and there are plans to bring back the marina and boating facilities, but for now the area still remains eerily desolate.